Truly, I am my own worst enemy. I do not accept compliments. I do not acknowledge my own achievements. I am self-depreciating. I am hardest on myself when I do not meet my own high standards. For this week’s challenge, I had to give myself a reprieve. It’s time to stop being so negative about myself and start accepting who I am, and not who I think I’m supposed to be. If I’m not happy with some things, then I also need to be more realistic with what expectations I have for myself. This week at work, I was honest with what I could and couldn’t do. I asked for help when I needed it. I didn’t flinch when something didn’t go exactly as planned. I didn’t dwell on the small things and focused on the more important ones. I let myself enjoy the feeling of accomplishment. I was able to showcase what my strengths were. In doing this, I felt a lot of stress being lifted. In my personal life, it was a lot harder. I have gained significant weight post birth due to injury, lack of sleep and stress eating. I didn’t set aside the time to work out and my health was the price. I didn’t want to accept that my blood pressure was not going down or that my jeans were just a little more snug. I couldn’t believe what the numbers were telling me – I had neglected my own well-being. This week, I had enough. I can’t deny what’s happened to me. If I want to change it, then I need to accept my current state and be positive that things can and will change. I refuse to be stuck, and I refuse to find fault or excuses because of what’s happened to me. The denial and self-loathing prevented me from making changes. I may not like this current “me”, but I have to accept it in order to change it. What’s the point of trying make changes in something that you don’t believe is an issue? This week, I made effort to find ways to heal and work through my injury (safely). I am making conscious efforts on my food choices and I am trying to go back to a reasonable exercise schedule. I am trying to incorporate my new life with a healthy lifestyle. I accept that my life has changed and thus, so does my approach to healthy living. Somehow, saying this with intent feels more effective. Strangely, I feel at peace with what is. 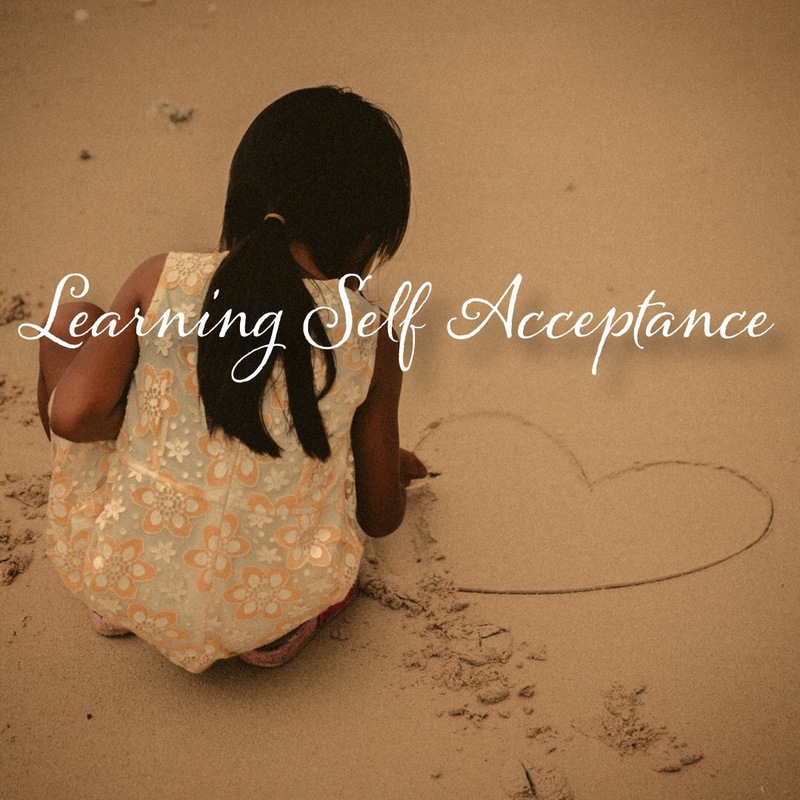 Self-Acceptance is not immediate. It has to become habit and thus, had to be practiced until it becomes second nature. I am looking forward to continuing this! It definitely is. I’m making progress though! Being confident in yourself is one of the hardest things I have ever done and is something I’m still trying to better. It’s so hard to put yourself first sometimes especially when you’re a mom. I wish you tons of luck! Thank you. It’s definitely a challenge! I am definitely my own worst critic. It is so easy to get hard on ourselves for the things that we are unable to do in a day rather than look at the things that we were able to accomplish. Good for you for making it your intention to be kinder to yourself! Yes! We tend to overlook the good when it’s mixed with the bad! I love this! A kindness challenge.. for yourself! Brilliant. Thanks for the tips. Yes! The first three weeks are showing kindness to yourself, the last three week consists of showing kindness towards others.